Posted By:Unknown | At:12:59 PM Be the first to comment! TALLAHASSEE, Fla. -- Florida A&M University is naming a former Ohio University music professor as the new director of its famed Marching 100 band. Sylvester Young, the former director of the Ohio University marching band, will be introduced Tuesday by FAMU. Interim president Larry Robinson confirmed the hiring. 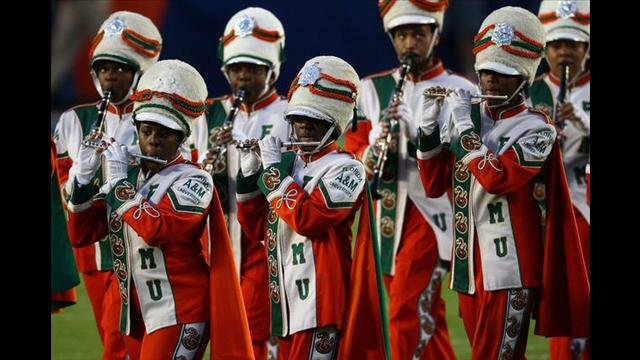 The Marching 100 has been suspended since the hazing-related death of drum major Robert Champion in November 2011. Amid the fallout from Champion's death, longtime band director Julian White retired and university president James Ammons resigned. The university has made sweeping changes to combat hazing, including putting in new requirements for future band members. Robinson has said he will decide this month whether the band will eb back on the field during the 2013 football season. As a proud alumnus, let me be the first to say congratulations to my fellow alumnus, Dr. Sylvester Young. Although I was a firm backer of Dr. Shelby R. Chipman getting the job, I still can offer a congratulations to Dr. Young. I'll be happy to see the band back on the field. Please know that because I wish to see the band back on the field it has nothing to do with how I feel about the terrible loss of Robert Champion. I will continue to keep his family in my prayers.